Leonid Stjoernval was born April 26, 1872, in Moscow, the son of Gustav Alexander Robert Stjoernval and his second wife, Anna Oldecopp. He married Elizabeth (Grigorievna) Feodoshev (b. January 17, 1885, in St. Petersburg) on September 3, 1905, in Luga, Russia.1 Anna Butkovsky-Hewitt reported that she was much younger than he, however, "...none of us ever saw [her]. "2 With his wife he raised her son, Nicholas de Val, who was known to be Gurdjieff's natural son.3 A noted medical doctor and psychologist in St. Petersburg, Stjoernval operated an electro-massage institute (or an electro-hydropathic sanatorium), the location of which is disputed.4 He died of cancer on April 2, 1938, in Sotteville, Normandy. When the Institute moved to Germany, Stjoernval and his wife went to Finland to liquidate their assets, returning with "a considerable sum of money for the Work. "12 Along with A. R. Orage, he was sent to New York in 1924, ahead of Gurdjieff and the rest of the group, to begin the logistical and monetary preparations that would make the trip possible. Following Gurdjieff's car accident, Stjoernval attended him in the hospital, and again upon his arrival back at the Prieuré. Though he is mentioned in accounts as being frequently alongside Gurdjieff, and even answering questions in meetings, he never led a group. 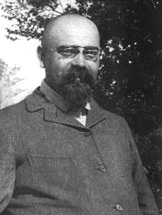 One of the most devoted pupils, Stjoernval and his family remained students of Gurdjieff even following the dissolution of the Institute at the Prieuré. They then moved to Normandy, where Dr. Stjoernval and his wife lived the rest of their lives. 1. Eero Kojonen, ed., Genealogia Sursilliana (Helsinki: Weilin & Goos, 1971). Also, Tor Carpelan, Attartavlor for de pa Finlands Riddarhus inskirvna atterna (Helsinki: Frenckellska tryckeri ab, 1965), 1116-17. 2. Anna Butkovsky-Hewitt, With Gurdjieff in St. Petersburg and Paris (London: Routledge & Kegan Paul, 1978), 66. 3. Mary Ellen Korman, review of Daddy Gurdjieff: quelques souvenirs inédits, by Nicholas de Val, The Gurdjieff Journal, vol. 5, no. 19. 4. James Moore states it was Finland in his Gurdjieff: The Anatomy of a Myth (Rockport, MA: Element, 1991), 77, as does E. C. Bowyer in "New Cult: Forest Temple of Hard Work and Rough Food," London Daily News, Feb. 15, 1923, while the Genealogia Sursilliana states it was in St. Petersburg. 9. Thomas and Olga de Hartmann, Our Life with Mr. Gurdjieff, eds. T.C. Daly and T.A.G. Daly (London: Arkana/Penguin Books, 1992), 90-91.